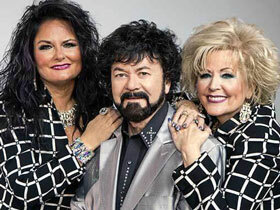 Nashville recording artists Join Ranks with The Famous Baldknobbers Branson, MO? : The Branson Famous Theater is thrilled to announce the addition of The Blackwoods to their theater schedule for 2019! A new addition to the show this year is a younger generation of Blackwoods who will be performing throughout the summer months and of course the Blackwoods end their performance with a fabulous tribute to our country in their patriotic finale! This high energy show will captivate every audience!